Our object this week is a typewriter that wrote in an interesting tactile code that continues to be used to this day, Moon-Type. The Possum Moon Writer was introduced in 1986. On the front of the machine, which looks like a yellow typewriter without keys, is what the developer called a “master pad”--a metal plate with indented lines from which the Moon characters are composed. The user inserted their right index finger into a metal ring attached to a lever above the master pad and traced the shape of the character on the pad. 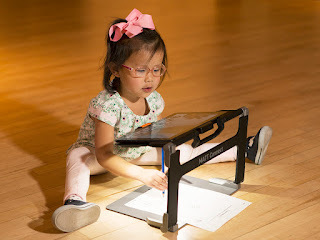 This transmitted the shape of the character to the writing mechanism and pushed a stylus to inscribe a small version of the character onto paper. Dr. William Moon introduced his alphabet-based tactile system for reading and writing in 1847. He considered it superior to other forms of raised letters because he felt his letter shapes were more legible. The first mechanical Moon writer was introduced in 1908 by his daughter, Adelaide. The system experienced some popularity in Great Britain, which declined after the adoption of braille, but it continues to be produced in small quantities there by the Royal National Institute for the Blind. 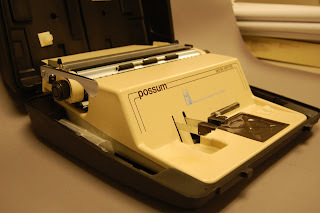 There is nothing to suggest the Possum experienced anything beyond a minimal run, although it did generate some research in British blindness research magazines. Just as a note: the “Possum” name, colorful as it is, has nothing to do with William Moon. 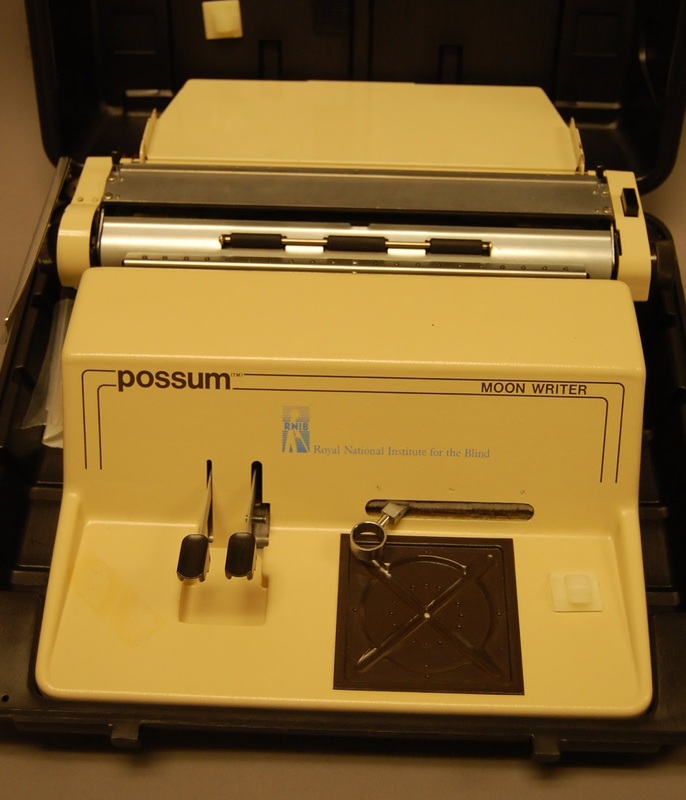 The machine was developed by Possum Controls Ltd., a British manufacturer of accessibility products.